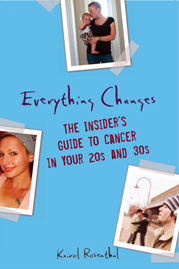 Everything Changes – The Guide to Young Adult Cancer » Cancer Wake Up Calls? My diagnoses were each wake up calls in very different ways. I say this not because I somehow needed cancer to tell me things I should have already known but because it helped me refocus on two fundamental things. In the first case, when I was diagnosed in ’96, it reminded me that life is too short and unpredictable to afford myself the luxury of living life according to other people’s rules, rules that had been leaving me miserable. In that case, it prompted me to come out of the closet and stop living a lie. In the second case, it reminded me that in world in which so much of our time and energy is spent on acquisition and material concerns, those things mean little without the love and support of people at our most vulnerable moments (such as when you are diagnosed a second time). With that second diagnosis, I realized a lot of people I counted as friends or family couldn’t be counted on for love or support. On the other hand, many other people I didn’t even know but who, as cancer survivors and caregivers, did give me a lot of love and support. So cancer has been a wake-up call. I’ve learned the value of living an open and honest life true to myself. And I’ve learned the real meaning of words like love, compassion, and empathy. Thanks for your comment Alex. When I was writing my book Everything Changes, I met many young adult cancer patients who were dealing with coming out along side their cancer diagnosis. For one woman, cancer allowed her parents to spend time with her girlfriend for the first time ever. The catch is that she still was not out to them and they thought her girlfriend was just a roommate. Still, she considered this a silver lining to her cancer in that her very strict and traditional first generation parents got to appreciate and love her “roommate”. Having her mom and dad thank her girlfriend for the love and support they gave their daughter was a monumentally positive experience for her. Well I have to admit to being one of those individuals you talk of whose life has deeper meaning after cancer than before and sad as it may seem, it did serve as a wake-up call. I mean this in the sense of a knowing how short life is and how important it is to me personally to live a life of deeper commitment to my true self and also a commitment to helping others. Cancer gave me the opportunity to get out of the rat race for a while and stop and reflect on what way I want my life to be. It taught me new experiences, brought new people into my life and it also opened new doors, and led me to opportunities I would not have had if I had been diagnosed with cancer. This may all sound quite cliched but it is very true for me in a real sense. However, I recognise that this may not be true for everyone and it can be an added pressure to be expected to be somehow transformed after a cancer diagnosis and live some kind of saintly existence. It is good that you validate this for others who feel as you do. I don’t know that my diagnosis was any kind of “wake-up” call. I didn’t make any major changes in my life afterwards. It made me more aware of the fact that I probably had less time to accomplish the goals I had in life. I do agree that it also made me care less about others opinions of me, which was something I struggled with to some extent when I was younger. It is difficult for me to tell whether that change is more a factor of age and maturity though, rather than the cancer. What has been kind of interesting though is the changes I have seen in those around me. Some of them DID get a bit of a wake-up call from my cancer. I think for the most part, that was a good thing. Cancer served as a wake up call for me on many levels. I find myself worry less about superficial things and caring more about what’s truly important to me. I’ve learned to take life more slowly and give myself as much love as I give to others. That said, I do agree that cancer is not necessarily a turning point for others who have cancer. And that pressure should not be put on cancer patients to be inspirational or to do a 360 degree turnaround of their lives. Like everything else, we are all different in how we respond to cancer. Agreed Laura. In trying to come together as a community of young people with illness, we often focus our commonalities, our kumbaya moments. But just as interesting to me are our differences. I like seeing the variety of responses to this particular question – they mirror the wide ranges of responses I got when asking this question to patients in my book Everything Changes. I think my blog and book would be quite boring if they represented a singular voice. Thanks for adding yours. I have had more than one wake up call in my life. 15 years ago my first husband walked out of the house and within hours was killed in a car accident near our home. That was my “life is too short” moment and tried to take it on as a way to allow myself to be happy and live without regret. Well, life got in the way, and it got harder. Then when my cancer diagnosis came along I thought…how can this be….I already had my wake up call. And then almost blamed myself for not learning the lesson then and needing another one! I hate that I do that. I hate that I feel like having had cancer revokes my right to ever complain, be sad, be angry, or have a bad day. I feel like I should always be bopping around singing a song, and be happy every single day. Don’t get me wrong, I do feel grateful to still be here, but I still struggle with my “after cancer” life and feel guilty for that struggle. I put way too much pressure on myself striving for perfection in my life since having faced my mortality. I am kind to others but the one person I need to be kinder to is myself. Thanks for this post Kairol, it is good to see the different views on this topic. For me a very early and (apparently and hopefully) easy resolution of my cancer marks something of a turning point in my life. This was not my first. A number of years ago, my brother ended his own life and that was my first “wake up call”. A call accept and embrace responsibility and care for myself. Getting taken so by surprise by that event taught me that we are all the masters of our own universes. He made his decision. I had no power there. But I found I did have the power to not let it hurt me, and I was blessed to fully accept the help of my friends and a most gifted therapist. And I watched what happened to the rest of my family as they struggled to go on as if nothing had happened. And now I must take care of myself so that I can help them as much as possible. But it would have been much easier for me if they had taken care of themselves. Fast forward a bunch of years and a captivating series of events had me sitting in the office of a new gyn. As pregnancy scare (which surprised me to not be bad news at all) morphed into biopsy and hysterectomy, I found myself again at a surreal turning point in my life. Now, I am watching myself slowly continue my process – maybe speaking up a bit more, reaching out for help more. Recognizing limitations but also keeping on the track to improvement. Some relationships have ripened to a deeper richness. Some relationships that had gone stale suddenly woke up – my situation was just as much a “wake up call” for them as my brothers death was for me. Only I didn’t die – I was able to give them, or us a second chance. An ability to perceive the concept of the finity of life is a stage of maturity much like the development of the ability to understand perspective was in the evolution drawing and painting. I think I’m rather lucky to have acquired this knowledge sooner rather than later. In this case – youth is not wasted on the young! Maybe I’m not far enough out yet (or maybe I’m too far out) but I didn’t need the damn wake up call. In the 18 months before I was diagnosed we moved, bought a new house and had our second child. I was plenty awake. And having cancer and a 17 month old was more than anyone should deal with at once. Cancer has changed my outlook in one serious way, I have an incredibly low tolerance for stupidity now. I have to be careful though because that can get me in trouble. Oh yes, the intolerance for stupidity – exactly! Its sort of funny, maybe it was just natural maturity, but I think being faced with my own mortality enhanced that. While I have much lower tolerance for stupidity- the kind of stupidity that is unthinking, uncaring or just plain bad behavior towards me and those around me – that has translated into standing up for myself. I have also realized that I need to have more tolerance and patience for those who need help or can’t keep up. It’s an interesting challenge. You probably got some help with that from that 17 mo old! And I think I’m getting better at accepting shortcomings and idiotic behavior from myself. Its easier to examine my failings when I know that I still can accept and love myself. 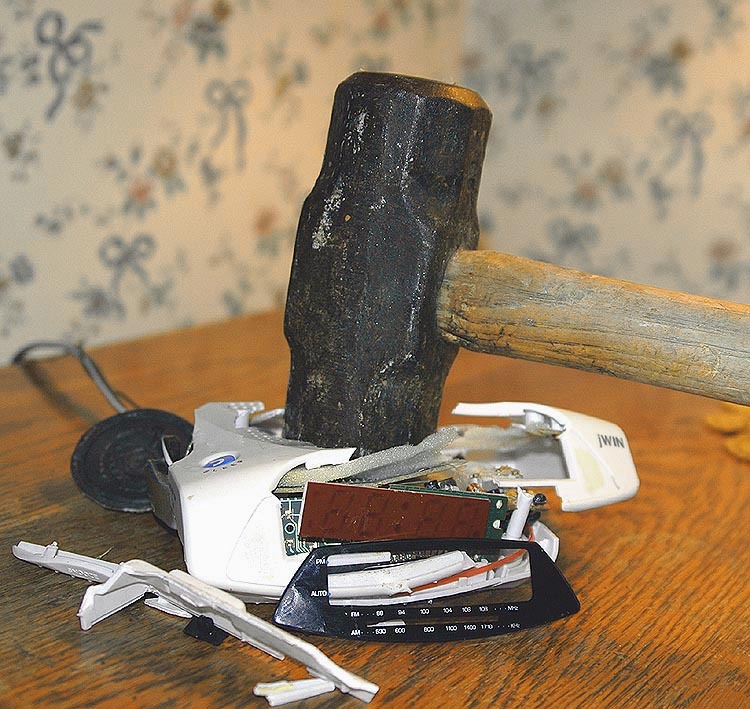 Nothing like allowing some parts to be removed to realize that you actually value yourself enough to do most anything. It’s been two years since I’ve been diagnosed with stage 4 colon cancer that spread quite aggressively throughout my abdoman. I am living with two very distinctive truths: 1. I am going to die way before anyone should. The odds of living to 45 (two years) at this point is around 5 percent. This unnerving possibility often frightens and saddens the hell out of me. However, the other truth rings much louder, much more poignant and more frequent: I never savoured the beauty and gift that is life before this diagnosis. Every day I am more sincere, joyful and thankful for my life in a way that I just couldn’t have comprehended beforehand. I live more in one day, am more present in one day, than I lived in a year, in those pre-cancer days. i don’t judge this. I just accept it. I kinda want to hook up Carrie and Cathy for a coffee date. And here is why: Carrie you are living the reality of a very likely curtailed life and in that finding what sounds like remarkable presence and acceptance. I am curious to know though if you still have bad days, or bad moments of days. Do you bop around singing a song all the time – as Cathy spoke about? I think living with our eyes wide open does not mean constant happiness, and joy can come from being able to be real with yourself in hard times. You both sound like very honest, remarkable women, and your comments really struck me. Hmm, a Wake Up call. Since being diagnosed with Stage IV colon cancer spread to liver, (DX March 2009) I wouldn’t say I have this ah-ha moment of clairty. I’m anticpating it though- you know- making deals with God to keep you alive long enough to give back, live a purposeful life, minister to others, etc…I am asking for some guidance in that area. I do resent the pressure others expect of you to “fight”, be positive, do what you have to do to live etc…They want the Cancer Patient to be up beat and valiant so that they don’t have to face the sadness and down days and the scary reality of cancer and chemo and side effects.